Networking is the process of meeting people and making connections to help advance your career development. 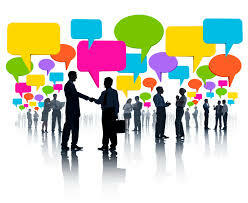 There are many skills involved in successful networking. These include interpersonal and intrapersonal skills, verbal and non-verbal communication, and self-awareness. The more competitive the job market becomes the more important networking becomes. There are so many professional and personal benefits to networking. Through networking you will make connections with potential colleagues, employers or clients and learn about opportunities and employment. Building these relationships will help you get ahead in your career. Meeting professionals in your field who can provide you with insights, tips and advice because they have more experience and knowledge in your field. The idea of networking can be scary if you’re not extroverted enough to put yourself out there through networking. If you’re feeling anxious, check out these 12 Tips for Shy People. 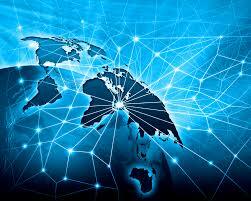 Now that you understand how important networking is you are probably wondering “Where do I start”. It`s all about finding the right people. Think about what career you are interested in. Who do you know in the field already? Access your allies – family, friends, neighbors, class mates, roommates – who might know someone, or help you out. There are many ways to network and build professional relationships. Attend conferences and other professional events in your field of interest or in any activity that interests you. You never know what you can learn or who you will meet! Create and/or update your LinkedIn profile. This is a great tool to use to make connections. Want to get your LinkedIn profile looked at? The Career Peers at the Brescia Student Life Center will be offering LinkedIn Drop-in hours starting in November 2015! First impressions are important. Make sure you dress appropriately and look your best. Be prepared to talk about yourself and what you do in 30 sec (often called the elevator pitch). Have business cards to hand out. Your business card is a personal marketing tool for getting your name and your image known. Stay in touch with your contacts! When you meet someone and they give you their contact information follow up with a quick note telling them what meeting them meant to you. Show that you are genuinely interested in the people you are talking to. Remember, it’s not just all about you! 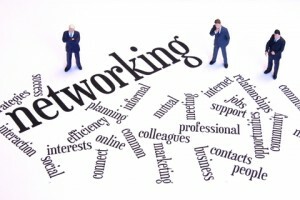 For more information about networking, click here to read this great guide. ← Not sure what to do after completing a degree in Foods and Nutrition?